Are These the Best Men's Travel Pants in the World? | My Five Acres. Travel. Adventure. Yoga. Are These the Best Men's Travel Pants in the World? Try the travel pants that have earned a permanent spot in my suitcase! If you’ve been searching for the best men’s travel pants, you may have just found them! Read on to find out why Bluffworks men’s quick dry pants have earned a permanent spot in my luggage. When you travel full-time with just a carry-on suitcase, like I do, there’s no room in your luggage for second-rate clothing. Over the years, I have become very particular about what makes it into my carry-on! Good men’s travel pants are especially hard to find. Because I only have space for one or two pairs, the best travel pants need to be multi-purpose. My travel trousers have to look presentable on the streets of Paris and Milan and also stand up to the rigours of jungle-trekking in Southeast Asia. I hate combat pants and feel ridiculous wearing those high-tech grey zip-off trousers that the big outdoor gear companies make. About a two years ago, Bluffworks sent me a pair of their men’s travel pants to try out and since then, I’ve put them to the test, wearing them from Sri Lanka to India to Finland to Ireland to Vietnam and many points in between. I’m happy to say they’ve earned a permanent spot in my luggage — and I’m hoping to add a second pair once we stop long enough to get them delivered. Pin to your travel wishlist! What’s in our Review of the Best Men’s Travel Pants? Obviously, I have not tried all the men’s travel pants in the world but I can absolutely say that Bluffworks are the best travel pants I’ve ever worn. I’m pretty picky about clothes. Hey, I like to look good! My Bluffworks Chinos are stylish enough that I don’t feel like a grub on the streets of Milan or Paris. I got the pale blue ones for a little extra flash, but they also come in your standard guy colours like grey and tan. They are also casual enough that they don’t scream “rich tourist, please steal from me” like a lot of speciality travel clothes do. It was hot & dusty in Malta, but the travel pants could handle it. Magically, they seem to be warm enough on chilly days in wintry Berlin, but they don’t leave me too sweaty in sizzling Chennai, or humid Hong Kong. When it gets really cold, I layer them over my yoga tights for added warmth. So if you are looking for the best travel pants for Europe or the best travel pants for hot weather, check them out. The Bluffworks Tailored Chinos work in the city and out of it. There are three styles of Bluffworks travel pants. The Chinos are great for a skinny guy like me who prefers a more fitted style. Initially, I wanted them to be even a little more fitted, but once we were in India where it was 38ºC/100ºF, I appreciated the air flow the slightly relaxed fit provides. If you like your pants with a little more room, the Bluffworks Original travel trousers are probably better for you. For business trips or if you’re into high-class dining and hotels, Bluffworks just introduced men’s dress pants to their line-up. Don’t worry, the dress pants are quick dry, wrinkle free, and come with zippered pockets, too. The fabric Bluffworks uses is almost entirely wrinkle-free and they are fast-dry pants. That means that I can hand-wash them at night and wear them the next day, no problem. Most importantly, they are the most comfortable travel pants I’ve ever worn. They have a little bit of stretch and there is some extra room in the crotch, so I can even do full splits (Hanumanasana) in them without feeling any pinch. “Great for street yoga” might not be a selling point for most male travellers, but it also means you can use them for active stuff like rock climbing, hiking, and cycling — and even more importantly, you’ll be comfortable wearing them on the plane for hours on end. One of the features that places Bluffworks among the best men’s travel pants is the hidden zipper pockets. We travel in so many places where we see “beware of pickpockets” signs. The hidden zipper pockets on my Bluffworks gives me a little extra piece of mind — I’m pretty confident that even Oliver would have a hard time pickpocketing me! Check out the photo below to see how the pockets are made. When you’re wearing the pants, the zippers aren’t visible at all, so no one even knows that they’re there. The hidden zipper pockets are perfect for passports or cash. There is also a secret smartphone pocket (which is just below the back waistline). Sadly, the pocket is not big enough for my current phone (the iPhone 7+). I miss being able to safely hide my phone away in a super-accessible spot! Hide that iPhone in your hidden phone pocket. If you’re looking for men’s pants with zipper pockets I cannot recommend them enough. 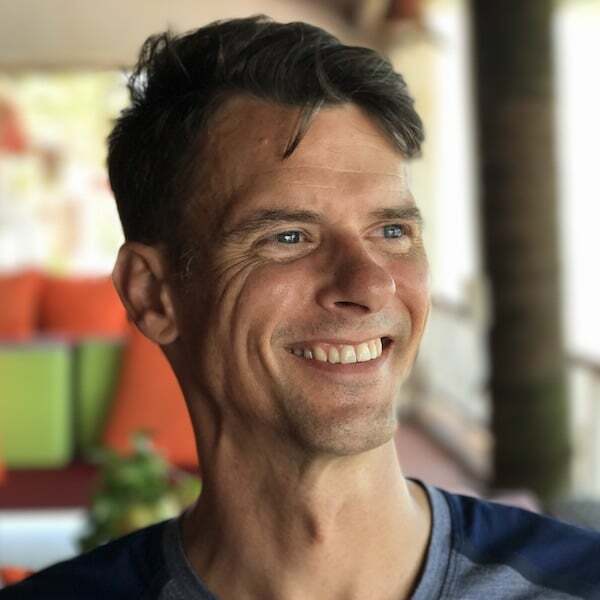 Bluffworks is the brainchild of an adventurer just like us, Stefan Loble, who ditched his regular 9-to-5 to create a business out of his passion. Bluffworks travel clothing is designed and made in New York City, so you won’t be supporting poorly regulated sweatshop conditions when you buy them, either. During the past couple of years, my Bluffworks travel pants have held up to every adventure I can throw at them, including biking, hiking, city-slicking, and many sessions of street yoga! Biking in the travel pants in Torino, Italy. Even if you don’t plan to travel full-time, they’d also be pretty great for riding your bike to work, wearing to the office, and even doing a little no-mat yoga as you live your daily adventures. Check out all the features of Bluffworks men’s travel pants and maybe you’ll want to grab a pair for yourself. In addition to men’s lightweight travel pants, Bluffworks also makes shirts, jackets, and even a travel suit! One of these men’s travel shirts is next on my shopping list from Bluffworks. 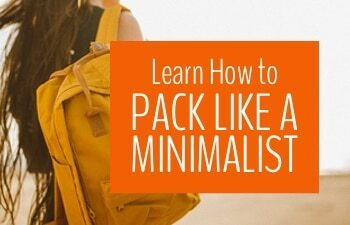 They’re perfect for travel in Europe, but probably not what you want a pack if you’re roughing it around Southeast Asia. Like their travel pants, Bluffworks shirts are wrinkle-free, quick-dry, and breathable, so you’ll be comfortable even in hot weather. They are anti-microbial too; according to Bluffworks you can wear them for 5 days with no smell. Let us know if you’ve tried it out! If you really need to up your style game, pack one of Bluffworks Travel Blazers. Yup, just like their other clothes, they have secure pockets, are quick-dry, and wrinkle-resistant. For trips where business casual is required, this is your travel jacket. Cleverly, Bluffworks has designed their travel pants and blazers to work together as the ultimate travel suit. Not really something I need as a yoga teacher but if you’re a mover and shaker in the business world, it might be perfect for you. I hope you found this review of Bluffwork’s men’s travel pants useful. They are truly the best men’s travel pants I have tried, and I hope you like them too! Let us know if you get a pair and what you think in the comments below! I got these lightweight travel pants for free but was not asked to write this post — I wrote it to help you find the best travel pants for men! I have used affiliate links in this post, so if you buy the pants using one of our links, we’ll earn a little bit of money at no cost to you. That will help us to keep bringing you lots of great travel, adventure, and inspiration! Thanks! –S. Tagged how to travel, travel gear. 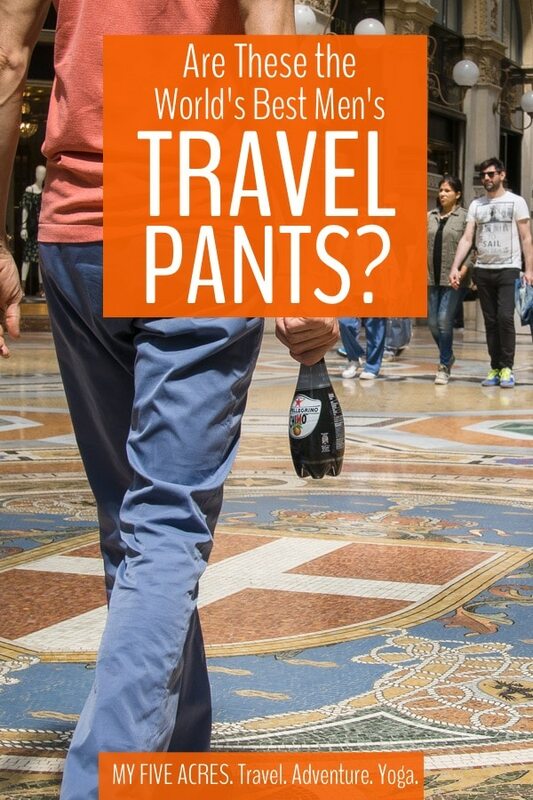 Great post about travel pants. Bluffworks travel pants are really awesome and stylish. I love France. I had three times traveled France. I never forget that beauties and weather. I pleased to your great efforts on this post. Thanks for your great tips about Bluffworks travel pants for men. They look like great pants! Do they make them for women?! I’ll definitely let my husband know about them. 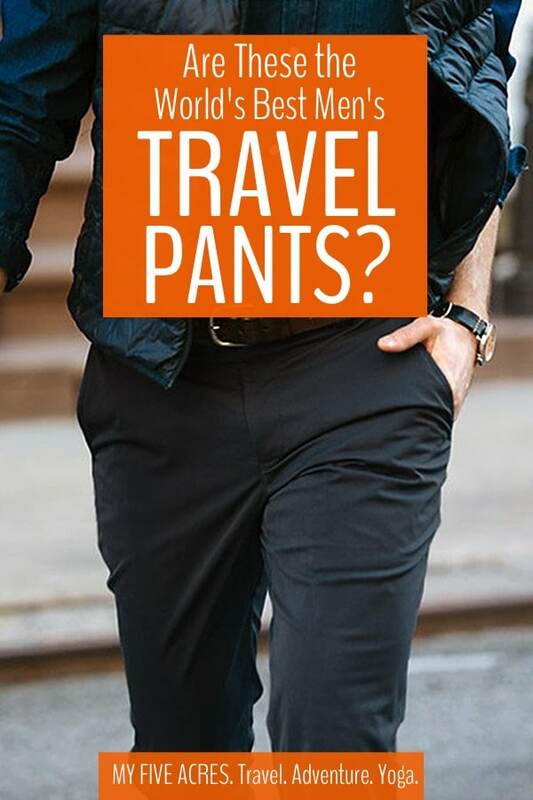 He’d love to have travel pants that are comfortable, versatile, and look nice. No, sadly they don’t make them for women yet, but I keep asking! My husband’s pair fits me pretty well though so I’ve been tempted to grab a pair for myself too. Your husband should totally check them out! The Adventure Traveler Pants are not cheap at $109.95 but for the quality and added security that they provide, I do feel it is a fair price to pay. Its like wearing 4 money belts and you get to choose how secure and where the security is on your pants. They look great! How exciting! These look great, I would love to take them with me to the diverse climate of Peru! Maybe you will get to. Good luck Ben! I’d travel to London, buy a cheap car, and drive it to cape town, south africa, via morocco. Nice plan Shaun. We drove around Morocco back in the early 2000s. 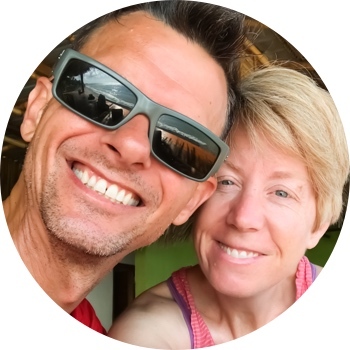 It was our first real independent adventurous travel and is what got us hooked on this life! Perfect. I think that’s what Stephen likes about these pants the best. He can look stylish but still feel comfortable in them. I want to travel back to France, always back to France. What’s your favourite place in France? I love Paris, of course, but I also have a soft spot for Île de Ré, a small island off the west coast near Bordeaux. We only spent a weekend there but I’d love to go back and stay for an entire season – or more. These look great! I’m pretty average-sized for a dude and it’s still hard to find comfortable, move-around-in-able pants that aren’t obviously made of some kind of awful tech fabric. These would be great for hiking or camping and look nice enough that they wouldn’t have to stay in the closet for the other 95% of the time. Yes. You could totally wear them to the office (if you go to an office in your everyday life) and still use them to camp. Did you get your two extra entries by leaving a comment here? We’d love to know where you plan to travel in your new Bluffworks pants if you win!